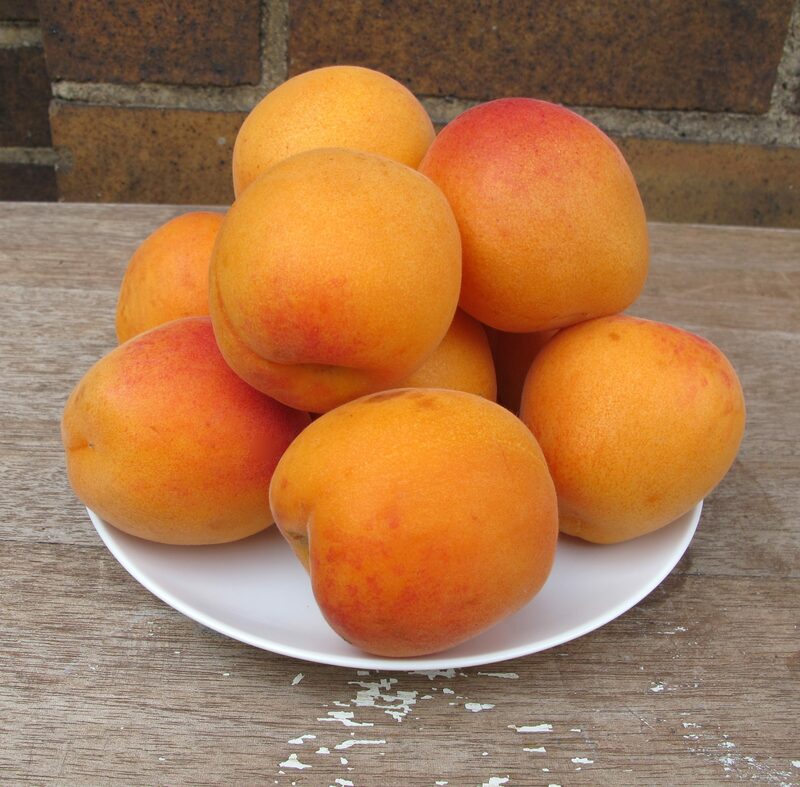 A very kind neighbor recently gave me a big bowl of apricots that had flirted with ripeness and were now ready to be consumed or settle into apricot ennui, patiently awaiting the inevitable coarsening of flesh and wrinkles. Just a little bit too much like me, I thought, wondering how on earth to eat all eighteen immediately. As they sat there smiling up at me with their golden glow in the evening sunshine, the answer hit upon me: they have to stop being apricots, and start being apricot gelato. Now they reside happily in my freezer in a couple of quart tubs waiting to be scooped out onto sugar cones and sprinkled with toasted almonds or served in a glass with a wafer and some raspberries. In a heavy-bottomed pan, pour 1 pint of whole milk, and half a pint of double cream. Place over a slow heat and cook until tiny bubbles start to form and the temperature reaches 175 degrees F. Do not let it boil. Meanwhile, whisk together the yolks of 4 eggs with 5oz of caster sugar until the mixture is thick and pale. Now you have to temper the eggs by slowly introducing the hot milk to them. Do this with a balloon whisk: go back and forth between the milk and the eggs with it a few times so that the eggs understand that heat is coming. Then very very slowly pour the milk into the eggs, whisking furiously as you go. The aim is to not scramble them! You should now have a lovely pale creamy liquid that needs to be returned to a low heat to become custard. Stir gently until the mixture thickens enough to coat the back of a wooden spoon and the temperature reaches 185 degrees F.
Remove from heat and pour into a cold metal bowl. Let it settle to room temperature then refrigerate, overnight if possible, because the colder it is, the faster it will freeze. When you are ready to turn this into gelato, simply mix in your chosen flavor; all stoned fruit and berries are good, but so are nut pastes, such as pistachio, hazelnut and chestnut. The sticky seeds scraped out of a long pod would be all it needs to make an exquisite vanilla. Pour into an ice-cream maker and watch for it to become aerated and fluffy. Scoop into a freezer-safe container and freeze for a few hours to achieve the proper texture. This should provide up to two quarts of finished gelato. Most ice-cream makers have drums that can only take half of this, and the custard keeps very well for a few days in the fridge while you make one batch after another, re-freezing the drum in between. Here’s the finished product. 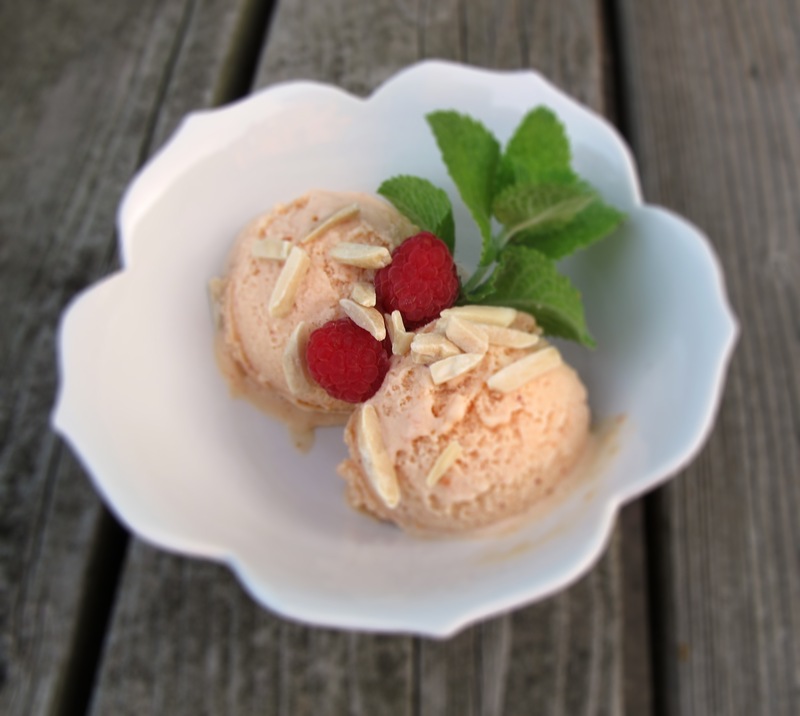 This apricot gelato is so vibrant with the fresh fruit that it literally zings on your tongue, a bit like the sparkles of a glug of fizzy-pop. It keeps you young, I swear.